In late August and early September of 1958, U.S. Navy Task Force 88, consisting of nine ships and approximately 4,500 men, secretly conducted three high-altitude nuclear tests in the South Atlantic. The code name of the operation was ARGUS. In each of these tests, the task force launched from the missile trials ship, USS Norton Sound (AVM-1), a specially modified X-17a three-stage ballistic missile carrying a low-yield nuclear warhead, which was detonated high in the Earth's upper atmosphere. Upon completion of these launchings on September 6, the task force departed the operating area for Rio de Janeiro, Brazil, and thence to home ports in the United States. This report details Department of Defense personnel participation in these tests, with an emphasis on radiological safety. The tests were conducted in complete secrecy and were not announced until the following year. The organization conducting these tests was Task Force 88, a naval organization consisting of nine ships and approximately 4,500 men. A few specialists from the other services and the Atomic Energy Commission and their contractors were with the fleet. Coordinated measurement programs using satellite, rocket, aircraft, and surface stations were carried out by the services and other government agencies and contractors throughout the world. 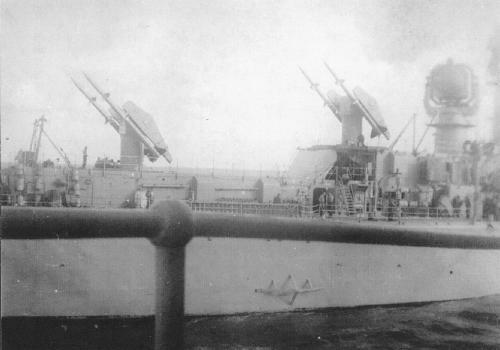 The ships of Task Force 88 were the antisubmarine carrier USS Tarawa (CVS-40), the destroyers USS Bearss (DD-654) and USS Warrington (DD-843), the destroyer escorts USS Courtney (DE-1021) and USS Hammerberg (DE-1015), the fleet oilers USS Neosho (AO-143) and USS Salamonie (AO-26), the missile trials ship, USS Norton Sound (AVM-1), and the seaplane tender USS Albemarle (AV-5). The low-yield (1- to 2-KT) devices were lifted to about a 300-mile altitude by rockets fired from the Norton Sound. The detonations occurred at such distances above the Earth that there was no possibility of exposure of the task force personnel to ionizing radiation. Of the 264 radiation-detection film packets distributed to the task force, 21 had indications of radiation exposure, but the highest exposure recorded by an individual's packet was 0.010 roentgen (R), so low as to be negligible. The highest exposure recorded, 0.025 R, was by a control film packet. 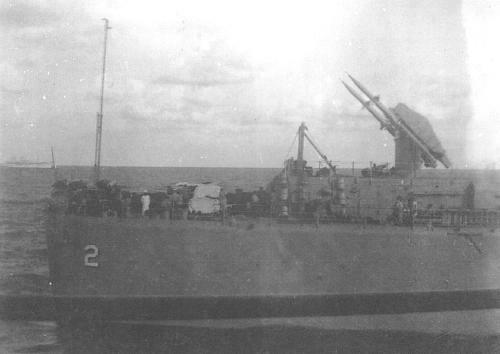 Control film packets were located in radiation-free areas within the ships. Even this reading was so low that it could have been spurious or the result of natural background radiation. In any event, both readings were below the accuracy limit of the film, developing system, and dosimeters used. In 1977, 15 years after the last aboveground nuclear weapon test, the Center for Disease Control (CDC) of the U.S. Department of Health and Human Services noted more leukemia cases than would normally be expected among about 3,200 soldiers who had been present at shot SMOKY, a test of the 1957 PLUMBBOB Series. Since that initial report by the CDC, the Veterans Administration (VA) has received a number of claims for medical benefits from former military participation in the weapons testing program. 1. Identify DOD personnel who had taken part in the atmospheric nuclear weapon tests. 2. Determine the extent of the participants' exposure to ionizing radiation. 3. Provide public disclosure of information concerning participation by DOD personnel in the atmospheric nuclear weapon test. This report on Operation ARGUS is one of many volumes that are the product of the NTPR. Information from which this report was compiled was primarily extracted from planning and after-action reports of Task Force 88 (TF 88) and its subordinate organizations. What was desired were documents that accurately placed personnel at the test sites so that their degree of exposure to the ionizing radiation resulting from the tests could be assessed. The search for this information was undertaken in archives and libraries of the Federal Government, in special collections supported by the Federal Government, and, where reasonable, by discussion or review with participants. If you were aboard the USS Salamonie (or any of the ships mentioned above) in late August or Early September 1958 and remember being part of Task Force 88, and especially, if you have noticed health problems which you suspect may have been caused by exposure to radiation, you should immediately contact your closest VA Regional Office (VARO) and be advised as to your next course of action. VA Regional Offices in every state can be contacted by dialing 1-800-827-1000. That number rings in to your closest VARO. If you have the means, print out or copy this article and take it with you to your nearest VA Medical Center. If you have no luck with either of those two VA sources, contact your nearest County Veterans' Service Officer to file a claim or contact Tom Applegate, the USS Salamonie Veterans' Service Officer, at (260) 358-4863. Nuclear Test Personnel Review, prepared by the Defense Nuclear Agency as Executive Agency for the Department of Defense. to this page since September 8, 2003. 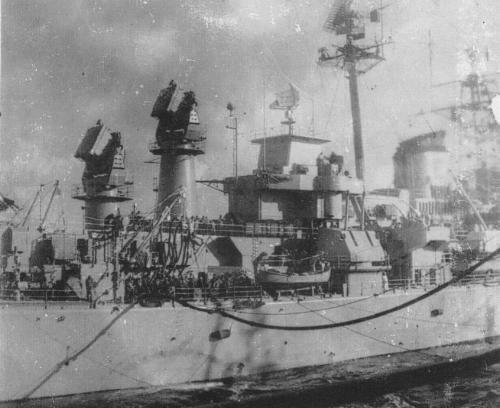 Salamonie crewman, Leonard Buck, MMFN, 56-58, thinks these ships, refueled by Old Sal, may have been some which participated in Operation Argus.